This post is over due because of the blizzard, but that is behind us now, not to much longer until Spring! So onto how to make felted soaps...go back to the previous post where I list the supplies you will need. 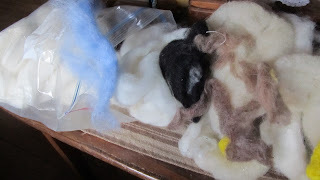 First select some wool and fiber, use wool as your base. This is a picture of a regular bar of soap. 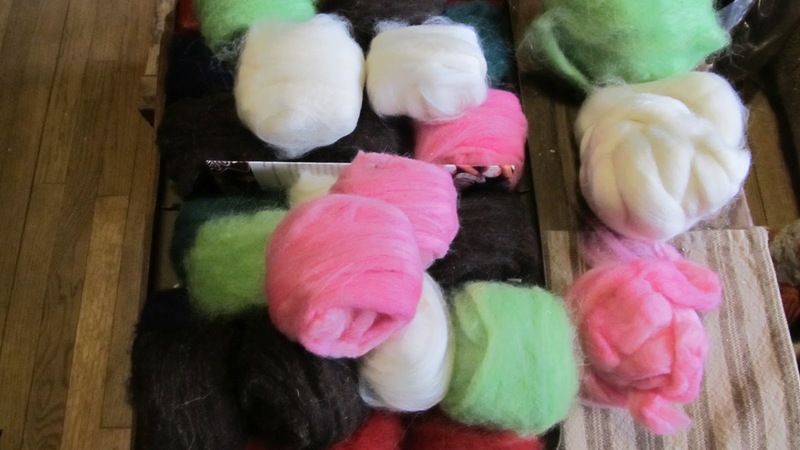 I first go the long way, then wrap the wool around to get a nice layering. Now place the bar into a stocking, making sure it is tight around the soap disallowing the soap or fibers to move. 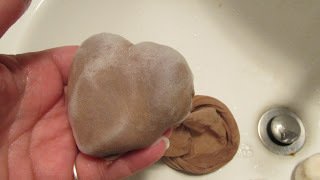 Work it under running hot water as the soap comes through the stocking. You want the fibers and the soap to become one. A lot of agitating is needed! 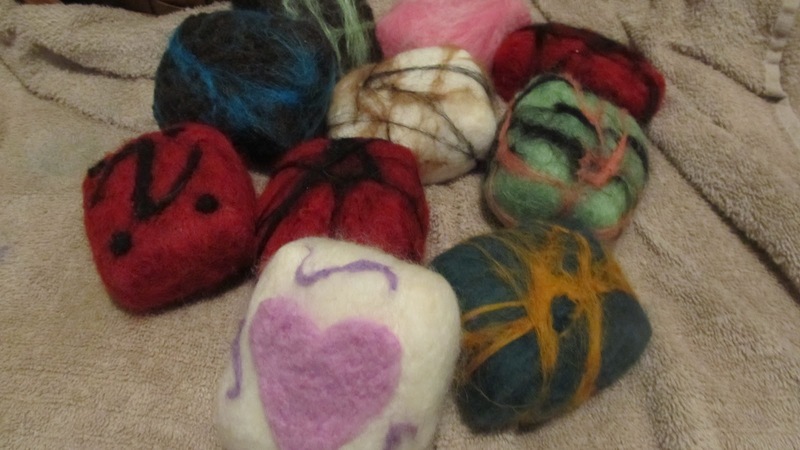 Now you have your felted soaps. Set them some where they can dry. I rotate them and turn them over the next day. I also will change the towel they are on. 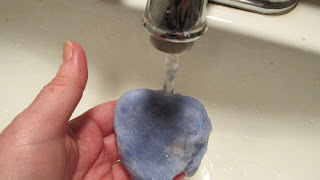 Remember sometimes the dyed fibers bleed so make sure it's a towel that is more of a rag. Once your soaps are dry, you can work on embellishing them. 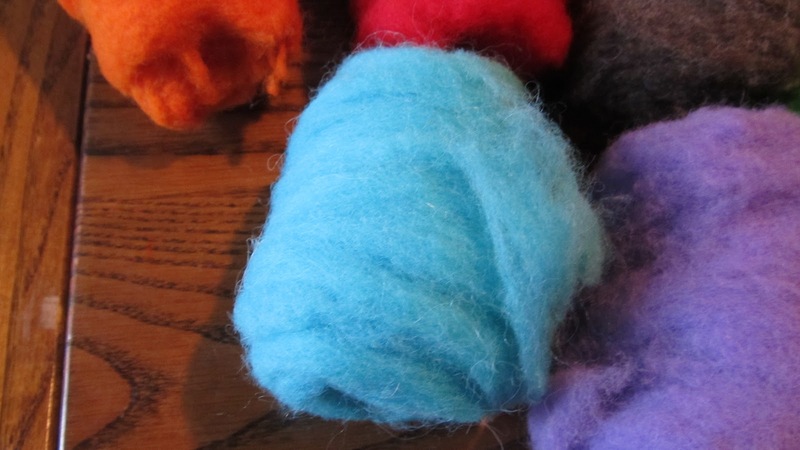 Using a felting needle, tuck any pieces that may be hanging or not just right. 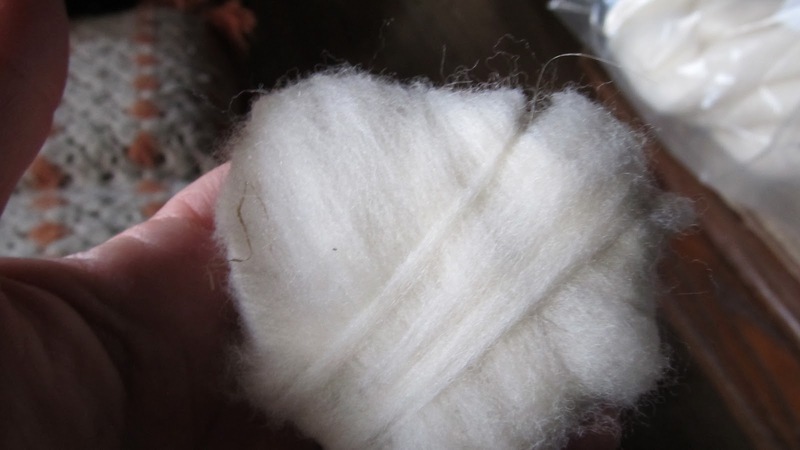 I usually use alpaca fiber for this to give a soft texture. 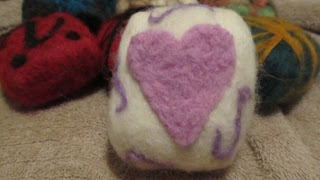 You can do anything, hearts, cancer ribbons, swirls or just about anything, get creative! This time, this one was a favorite. 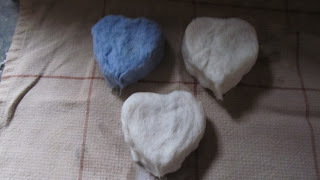 These make wonderful gifts and is a great way to bathe and have a wash cloth all in one! Also if you are a soap maker a great way for that bar that did not make "the cut". So next time you go to a fair or into a store and see a price tag on these for anywhere from $4 to $7, they are worth every penny! There is a lot of work that goes into these. Hope you learned something and if you have any questions leave a message and an email address and I will get right back to you! Happy Soap Felting!